Join us for “The Hunt” – an Easter event for the kids! 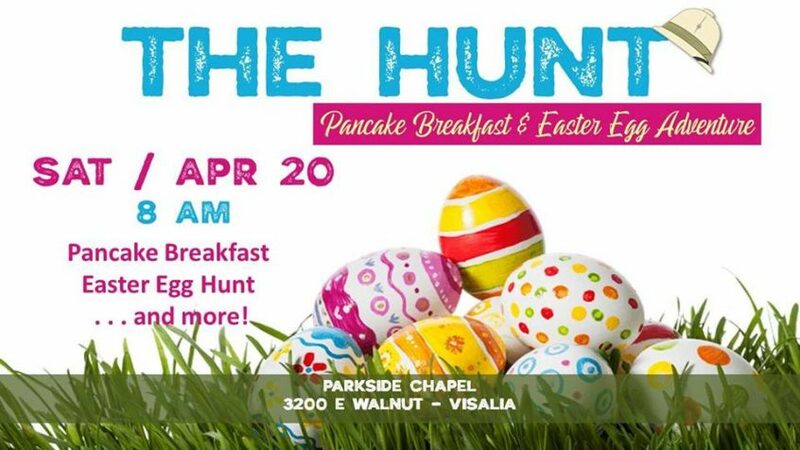 Start the morning off with a pancake breakfast, followed by an exciting Easter Egg Hunt! Kids will have a blast running through the grass in search of the colorful eggs filled with tiny surprises. There’s more that will happen … but you’ll have to come to find out! Mark your calendar and plan to join us for the fun!